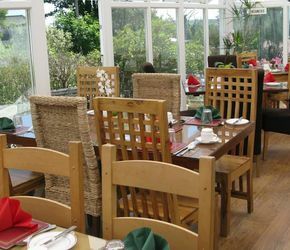 Hammonds Park guest house is situated 0.5 miles from the steps to Tenby’s popular North Beach and less than 15 minute stroll from the town center. All of our 11 rooms are en suite, we have free parking for all our guests and we pride ourselves on our friendly, easy-going atmosphere. 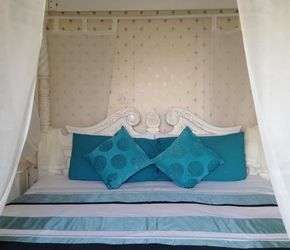 Whether you are coming to Pembrokeshire for our incomparable coastline and beaches, for fun at one of the many nearby attractions, or to enjoy the delights of Tenby town with its choice of great places to eat and drink, we will do our best to ensure that your stay with us at our guesthouse is as pleasurable and relaxing as possible. Partially solar powered hot water and energy efficient lighting are a few of the many things we do to reduce energy waste. Freshly cracked eggs, salty thick sliced bacon, fresh fried tomatoes and freshly brewed coffee are some of the highlights of our breakfasts. North Beach is just 10 minute stroll away (0.5 miles). There is enough parking for one space per room. If cancelled before 30 days prior to arrival the deposit will be refunded, otherwise the deposit is non-refundable. If the original check-in date was modified 30 days or less prior to arrival the deposit is non-refundable, even if cancelled before 30 days prior to the new arrival date. Can we bring our cot? Unfortunately we don't accept ages below 16. Do you provide extra beds if needed? Unfortunately we don't provide or allow any extra beds in any of our rooms. For hygiene and allergy reasons unfortunately we can't take any pets. Unfortunately we don't, however the guests' bedrooms are only on the ground and first floor. No need to reserve as there's enough parking for one space per room. Please call us to discuss this in more detail.